Millions of People around the world drink coffee on daily basis. Still we keep discussing advantages and disadvantages of Coffee. All popular things have controversies connected with them. Its natural. Either its a celebrity or coffee, both have their own merits and demerits. 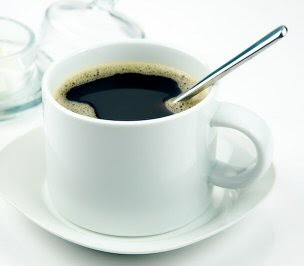 Black Coffee is another popular variety of Coffee known from its benefits in losing weight. A number of people around the world use it for Weight Loss. This Black Coffee also comes with some advantages and disadvantages. Here we will discuss both of these factors in addition to the weight loss factor. Black Coffee is often discussed for its addiction and side effects, but what if someone says that its good for health. You might be surprised but YES. But this "YES" comes with some conditions. Caffeine is an important part of Coffee but is famous for its negative effects, and doctors often advice pregnant and breastfeeding women to keep themselves away from it. But they same Caffeine can help you in burning fat. Caffeine stimulates an engyme named lipase, which helps breaking down fat during digestion. Chlorogenic Acid is another thing present in Black Coffee which helps in burning fat. It works works just same as caffeine. Joint efforts by Caffeine and Chlorogenic Acid creates more slimming effect. Caffeine acts as a diuretic. Diuretic is something that can dilute the fluids of body. Thus it helps in removing toxins out of body. Removal of toxins also helps in weight loss. The above mentioned effects of caffeine helps in creating a better circulation system in our body. A better circulation system creates better metabolism. The smell of Coffee creates alpha brain activity in our brain which is helpful in removing the stress. Stress is a psychological factor which makes people not getting indulged in any physical activity, hence becoming overweight. So in this way, smell of coffee can also save you from being overweight. As mentioned earlier in this article, that just drinking black coffee can't help you. You have to do it with proper timing. Drinking coffee 20-30 minutes before a workout will help you in loosing more weight. Similarly if you drink coffee after meal instead of a desert, then it might save you from excess sugar and fat products. Only Coffee can't make you slim. Drink coffee with proper timing and some physical activity. Else it will only make you an addict with a number of side effects.